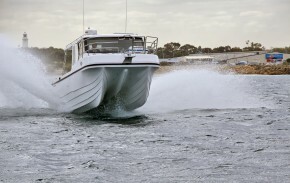 When you are an avid boater who loves spending time out at sea on your boat, or you own a fleet of fishing workhorses, you will recognise that time when your boat stops performing like it is supposed too. It’s at that stage when a simple tune-up won’t cut it anymore and you are left with a choice – replace the motor, we can help with that, or repower your existing one. This may involve overhauling the entire engine or could involve a complete rebuild. As re-power specialists we offer a complete re-power service, restoring your water craft to the speed and fuel economy you are used too. This is a successful and cost-effective solution and one we have performed thousands of times. Trust us to restore your boat’s power. If we think this is not a suitable solution we will tell you and provide you with a variety of practical and affordable solutions. Our Suzuki Marine franchise allows us to offer a full re-powering service for your tired, worn out motor, giving it a new lease of life and allowing you to head back out to sea for many more happy and productive hours. Contact us for a quote or advice.